Social Security Disability law can involve many steps. The pursuit of your benefits will involve an application, probably a hearing, and perhaps more processes after that. At every step, it is extremely valuable and perhaps make-or-break to have someone on your side who knows the disability legal system in complete detail. 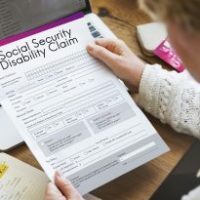 To get the benefits you deserve, be sure you have a knowledgeable Pennsylvania Social Security Disability attorney on your side. Here’s a real-life example. Y.W. (Western District of Pennsylvania Case No. 17-804) was a woman going through the process of obtaining Social Security Disability benefits. The woman contended that she was entitled to benefits based upon several mental and physical problems, some of which were results of an auto accident. When it comes to making a determination like that, the testimony of a vocational expert can be very important to the outcome of your case. In Y.W.’s case, the vocational expert testified that there were in excess of 5,000 sedentary guard jobs throughout the country. The vocational expert did not testify as to how many openings in this type of job were available regionally. This testimony, according to the District Court, wasn’t enough to uphold a decision that there was significant work for Y.W. in the national economy. The expert said over 5,000 jobs nationally but didn’t say how much over 5,000 and didn’t say how many of those jobs were available in Y.W.’s region. That missing evidence was important. Last September, a federal judge in Seattle concluded that an expert’s evidence, which identified 10,000 jobs nationally but none locally, was insufficient to qualify as “significant numbers” in the national economy. There are many very technical and very precise things that you must establish in order to succeed in your disability case. There is proof of your mental or physical maladies. There is proof of economic things, like the number of jobs you can do. All of these things require a detailed knowledge of the law, the process, and the type and volume of evidence required in order to get the benefits you need. Don’t go into the process alone. Talk to the diligent and knowledgeable Pennsylvania injury attorneys at Needle Law Firm. Our attorneys have been, for years, providing the sort of detail-oriented representation you need to produce positive results. To make sure you get the award of benefits that you deserve, be sure you put our ability and skill to work for you. Contact us today for a free, no-obligation consultation by calling 855.687.4357.